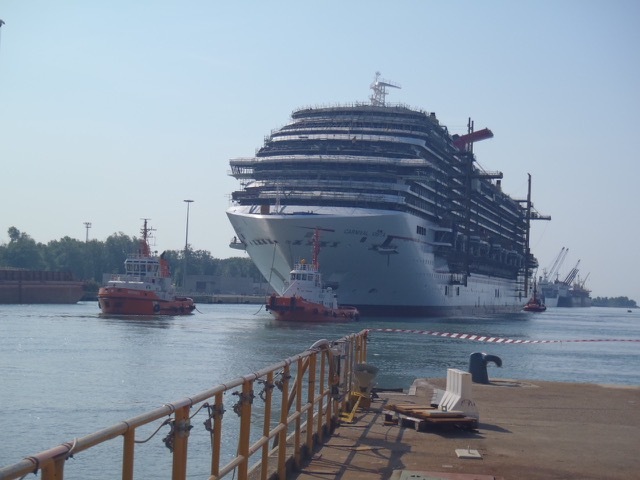 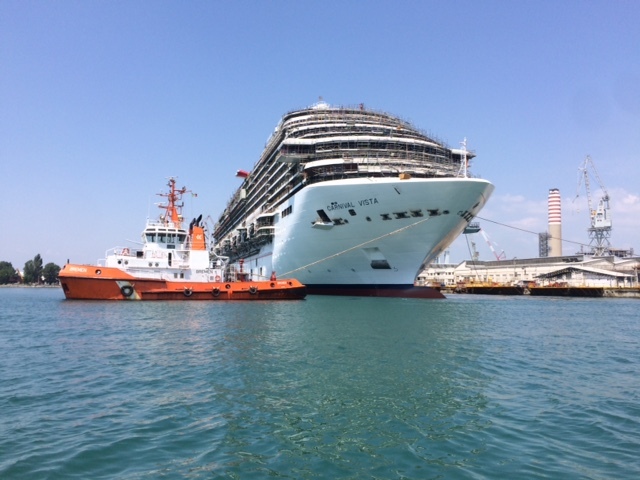 Carnival Vista, currently under construction at the Fincantieri shipyard in Monfalcone, Italy, has been “floated out” from its dry dock facility and towed to a new location at the yard, marking a significant construction milestone in the ship’s construction progress in anticipation of its May 1, 2016, debut. 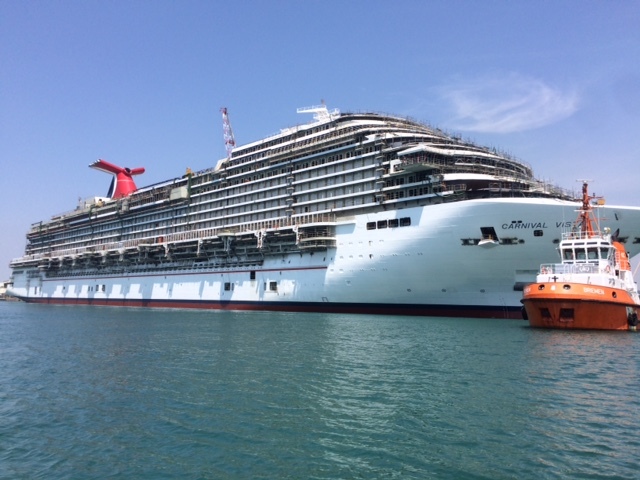 The newest, largest and most innovative ship in the fleet, the 133,500-ton Carnival Vista will offer a variety of one-of-a-kind features, including a suspended cycling experience called SkyRide, the line’s first on-board brewery and the first IMAX Theatre on a cruise ship. 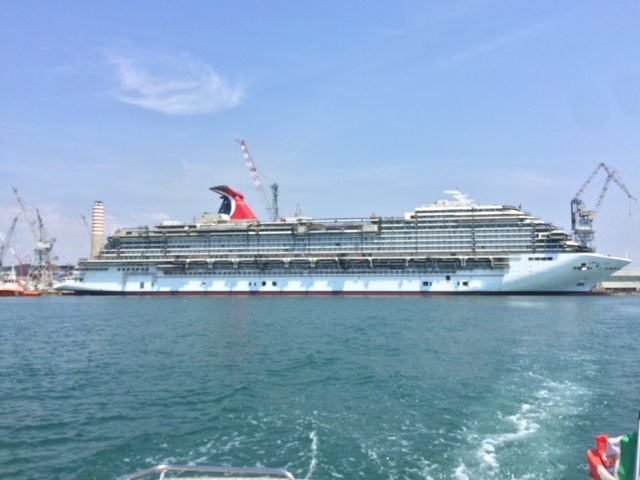 Several unique stateroom options, including the new Family Harbor accommodations and the Havana staterooms and suites, will be included as well. 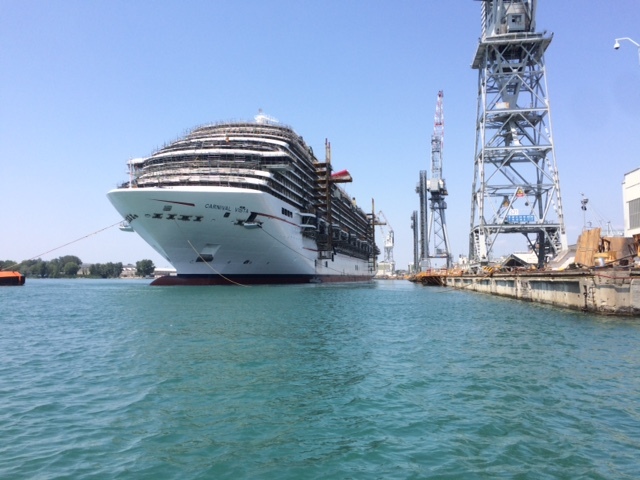 Carnival Vista will operate a schedule of European cruises from May to October 2016. 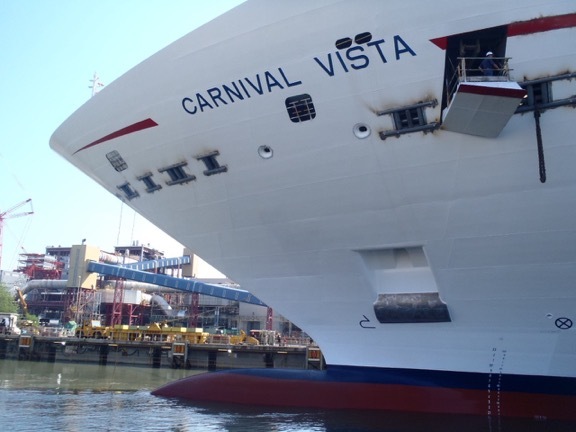 Following a trans-Atlantic crossing, Carnival Vista will operate a pair of voyages from New York in November 2016 then launch year-round Caribbean departures from Miami later that month.